Roxylean ECA is a nonprescription diet supplement manufactured by an American company based in southern Florida called BPI. The official website for the manufacturer has a page dedicated to this product. 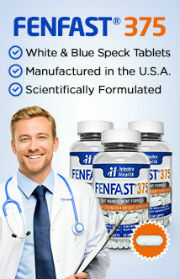 There, these weight loss supplements are described as having a “super concentrated thermogenic” effect. That said, just because a product promotes thermogenesis, it doesn’t necessarily mean that its use will result in weight loss. 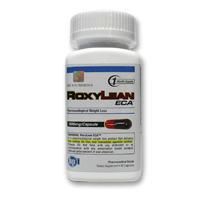 Therefore, dieters considering using Roxylean ECA are advised to look into this product more closely in order to better understand it before they start purchasing and using it. 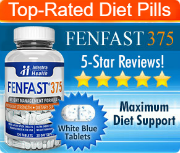 It is also highly recommended that a doctor be consulted before starting to use this product as it is important to know that it not only has the potential to be effective, but also that it will be safe and appropriate for a specific dieter based on his or her unique medical history and weight loss expectations. The recommendation to obtain the opinion of a medical professional becomes even more important when taking into consideration the prominently displayed warning on the packaging of this product. It is not meant to be overlooked and it is placed directly on the front of the box in a highly visible location to help discourage the use of this product by the wrong people. The reason is that the ingredients in this formula can put the health of many people at risk. It can interact with certain common medical conditions and can cause contradictions with various drugs as well as other supplements, foods and beverages. The caution should be taken seriously. Each package of Roxylean ECA comes with 60 capsules. According to the directions printed on the package, one pill should be taken each day in order to safely enjoy the best benefits from this product. Therefore, one package of this product should last for two months if used according to the directions. At the time of the writing of this review, the Roxylean ECA ingredients consist of the Roxy Blend proprietary formula, which contains: caffeine anhydrous, lemon, adhatoda, yohimbe bark, goldenseal root, white willow root, Chinese skullcap root, and rauwolfia. One glance at that ingredients list makes it perfectly clear why there are so many warnings against the use of this product – including the one right on the packaging. It contains a very high amount of stimulants, as well as diuretics and blood thinners. Many people will experience unwanted side effects from using this product.